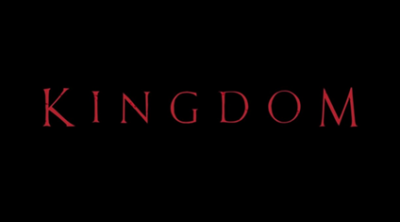 Kingdom is a 2019 South Korean television series. It was written by Kim Eun-hee and directed by Kim Seong-hun. There are six episodes in season one, of which this is the second. The Haewon Cho clan has unjustly framed Crown Prince Yi Chang. They accuse him — correctly, as it happens, although innocence would not have stopped the clan from trying to remove the Prince — of conspiring against his own father, the King of Great Joseon. The Crown Prince has serendipitously left the capital before he could be arrested. Great Joseon has problems much larger than mere dynastic conflicts. Yi Chang and his loyal bodyguard Moo-young have travelled far to interview the last physician to treat the King. They arrive to find the doctor’s rural compound seemingly abandoned and bristling with defensive bamboo spears. Inexplicably, the spears point into the compound, not out. When they enter, they find that the compound is a charnel house full of corpses. Yi Chang and Moo-young alert the nearest authorities in Dongae (they do not, of course, explain that Yi Chang is the wanted Crown Prince). The corpses are moved to Dongae so that the new magistrate can investigate. The magistrate and his retinue are feasting when the bodies arrive. The bewildered bureaucrat has no idea what to make of the horrific event, but soon settles on the convenient explanation that Yeong-shin, who works at the compound and who has been frantically collecting bamboo for some reason, must be responsible. Yi Chang and Moo-young’s own investigation leads them to Seo-bi, another survivor of the compound. She explains that the dead are not dead; they rise and attack the living. Seo-bi is not at all happy to hear that the bodies have been moved to Dongae. Seo-bi and Moo-young race to Dongae to urge the authorities to confine the seemingly dead bodies before they wake. Yi Chang heads to the compound to recover the physician’s journals. No soon does Yi Chang arrive but he is confronted by men sent to arrest him. Back in Dongae, the magistrate dismisses Seo-bi and Yeong-shin’s wild tales of walking dead. Madness, just madness. The tales are unbelievable until the sun sets and the dead rise to prey on the astounded people of Dongae. Thus far this series has been longer on investigation than action. There is one dramatic sword duel carried out in a confined space by men clearly accustomed to practicing in larger rooms. Or outside. Costume: there are many interesting hats. Some characters carry identification tags, hopae, which would mean that this historical is set sometime between the 15th and 19th centuries. I am too ignorant of Korean history to suss out any other period clues. Not that the writers feel the need to stick to actual Korean history, as hinted by the insertion of flesh-eating zombies into the narrative. Upper classes despise the lower classes: the Crown Prince finds it amusing to liven up his trek through the wilderness with guard Moo-young by occasionally threatening to kill Moo-young and Moo-young’s whole family. It’s odd that the bodyguard doesn’t immediately hand his employer over to the Haewon Cho. Of course, given the excessive lethality of the politics of this time (whatever it is), Moo-young may feel that he and his are destined for the chop even if he were to turn his coat. It is indeed unfortunate for the Haewon Cho that they think they are living in a story about a cut-throat struggle for the throne. They may be good at intrigue, but it seems (so far) that they cannot deal effectively with zombie apocalypses, (unless one counts causing one as dealing effectively with it). Ah, well. One cannot be good at everything. I’ll be watching more episodes. I’m reminding myself not to get over fond of ancillary characters. The zombie apocalypse has only just begun.